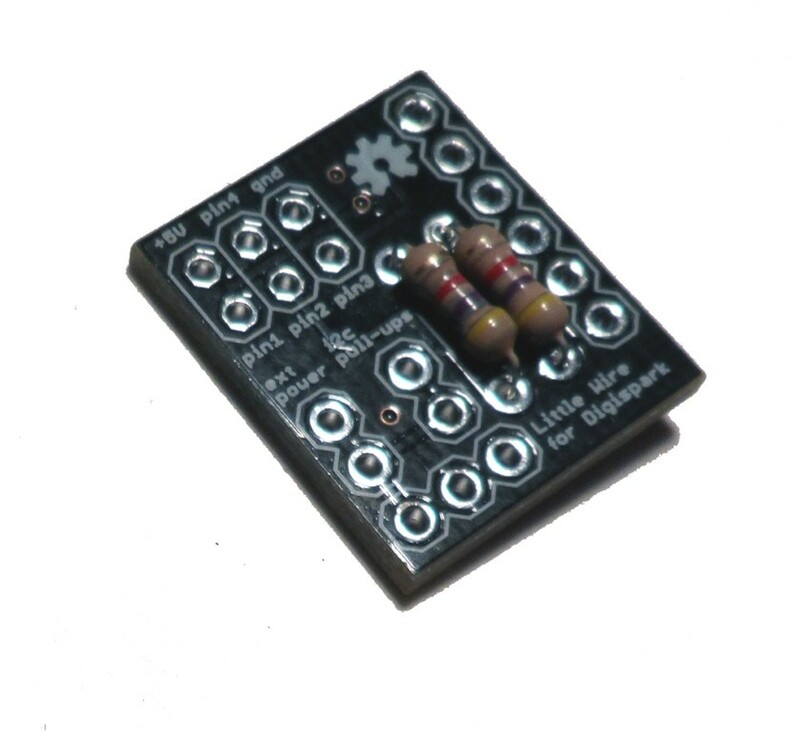 Insert resistors. Solder the leads and clip off the excess. Cut two lengths of male headers 3 pins long and insert (from the top) into the 6 pin (2×3 pins) header. Solder the pins on the back. Cut a two lengths of male headers 2 pins long and insert (from the top) into the two jumper locations. Solder the pins on the back. 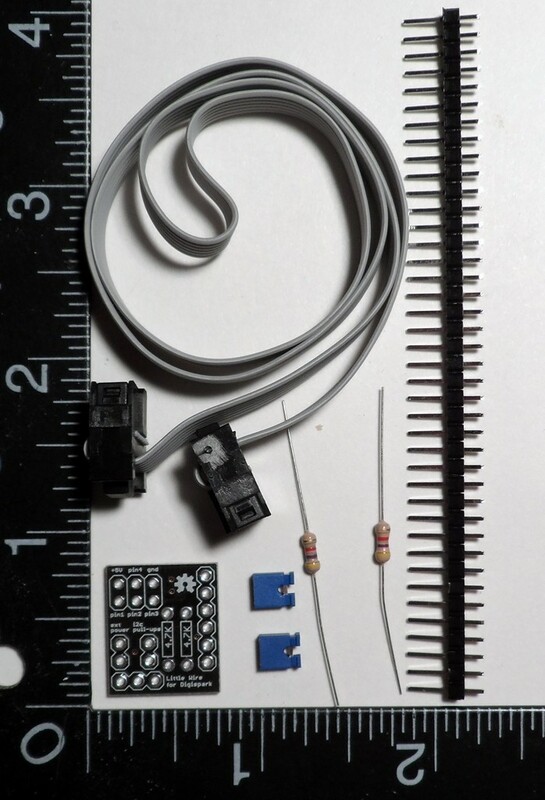 Place the jumper/shunt on top of each set of pins just soldered. 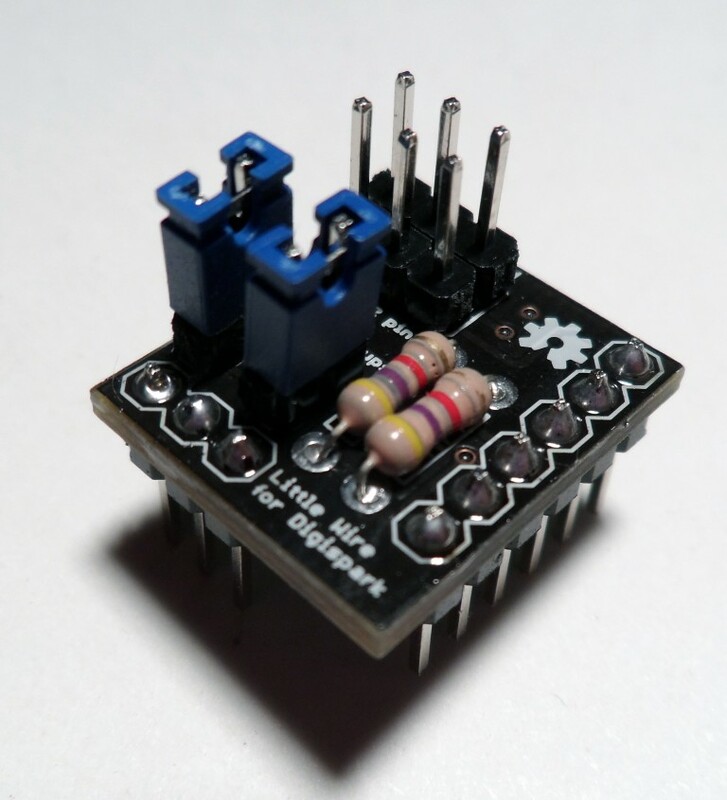 Optional: Placing the jumper on the I2C pins connects the I2C pull-ups (remove if not using I2C). Placing one on the Ext. 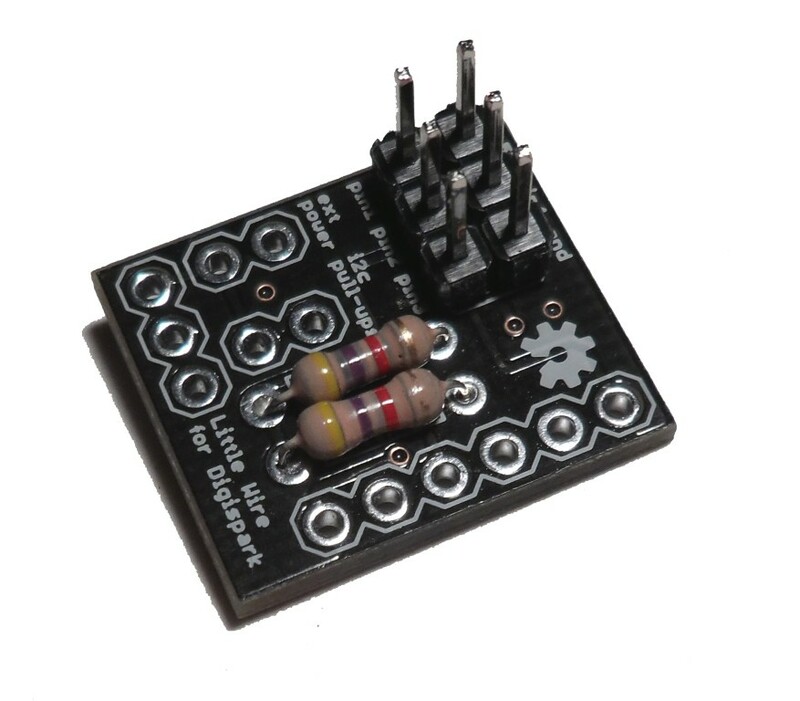 Power pins connects the 5V lien to the 6 pin header (remove if using external power). If using the cable - plug into 6 pin header. 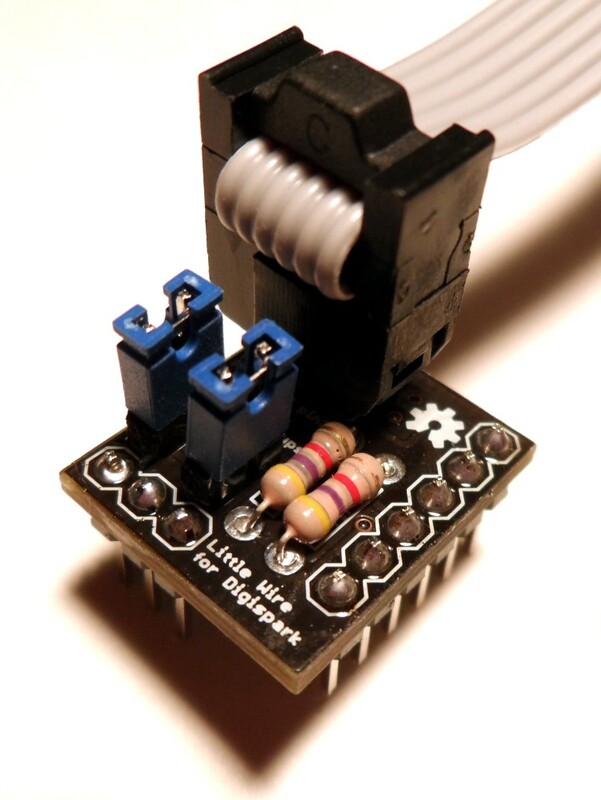 Run the executable and when prompted plug in the Digispark that you will be using with the shield. 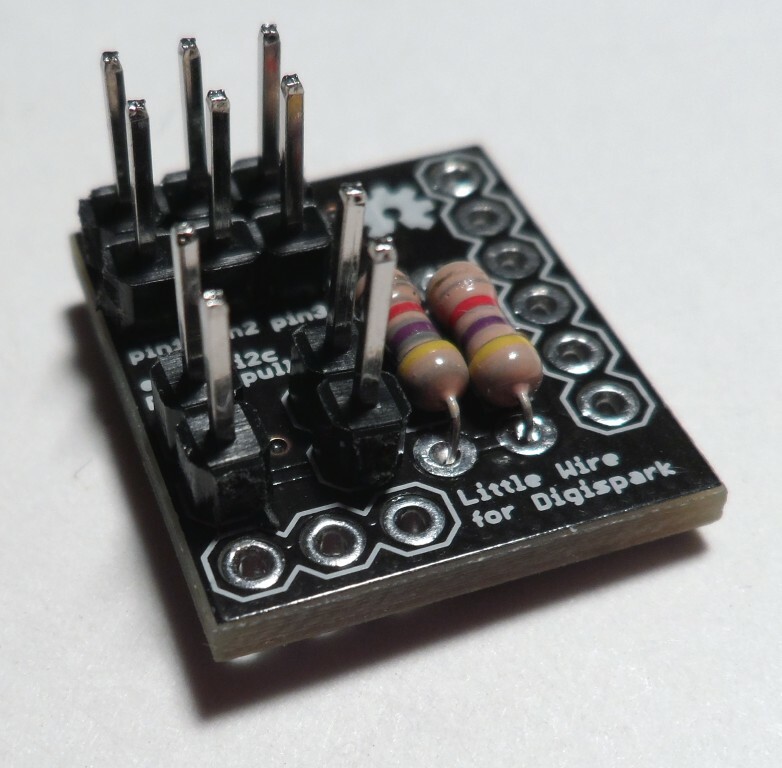 When complete the Digispark will now appear as a Little Wire device 5 seconds after it is plugged into the computer. 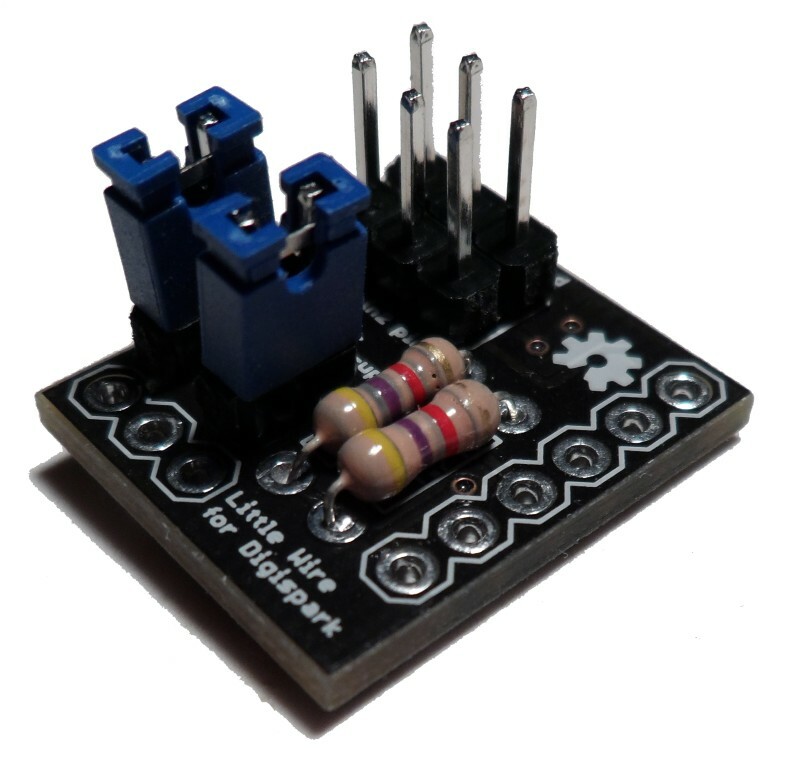 See http://littlewire.cc for documentation, libraries, and more!